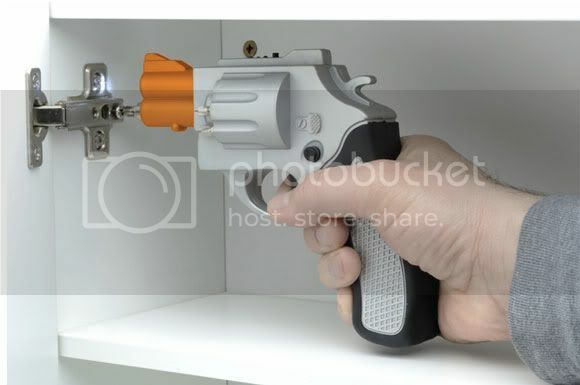 Admit it or not but at one point in our adult life we played with that power drill and pretended it was an actual gun. Why not? It looks like a gun don't it? How in the hell can we resist something like that right? So if that old power drill of yours is starting to feel boring go ahead and grab one of these Drill Gun Power Screwdriver from Gadgets and Gear. It's around USD 40.00 and packed with all that role playing fun you always wanted. Just don't point it at stuff you can't replace or hurt. Like that groin of yours. Go ahead and check the source link if you're itching to buy one. Is it me or is everyone trying to put gun handles on everything?